Maulana began with the recitation of Bismillahir Rahman-nir Raheem, and encouraged us to always recite it with hope (to be saved from the Fire by it) and with the contentment in your heart of knowing that reading it will save you from the Fire. We have received the biggest grant in Bismillahir Rahman-nir Raheem, a grant to the Nation of the Seal of Prophets (saw), but we haven’t realised its full potential. Man is a heedless and forgetful creature. We are weak ones, and we all wish to become more powerful and more honoured (in faith), and to be forgiven (by Allah) and to be amongst the best (in His eyes). If that is what you desire, then recite Bismillahir Rahman-nir Raheem, at least 100 times daily. At any time you feel threatened by a situation or problem in this world, or if you a burdened by a thought or worry of the hereafter – recite Bismillahir Rahman-nir Raheem, and you will be placed under His Shelter and within His Protection. Maulana says if he were to attempt to speak about the secret knowledge, secret powers, and secret grants contained within Bismillahir Rahman-nir Raheem, he would be unable to finish, even if he started talking when Allah began creating the Universe, till the end of time, for so much has been given by Allah, within Bismillahir Rahman-nir Raheem to Rasulullah (saw), for us! The Quran contains countless lessons leading us to countless grants of honour from Heavens. Maulana revealed one secret – that reciting Bismillahir Rahman-nir Raheem upon food as we start eating, converts the food into noor (light), within our bodies, and Allah’s blessings descend on that person! Bismillahir Rahman-nir Raheem is the door to safety and pleasure, which is why shaitan works so hard to make us forget to recite Bismillahir Rahman-nir Raheem at the beginning of all our actions, especially when we eat. Shaitan hates to see Man in safety, in pleasure, or in happiness. The Quran mentions the Throne of Solomon. It is not a worldly throne sat upon by worldly Kings; this is a Heavenly Throne. 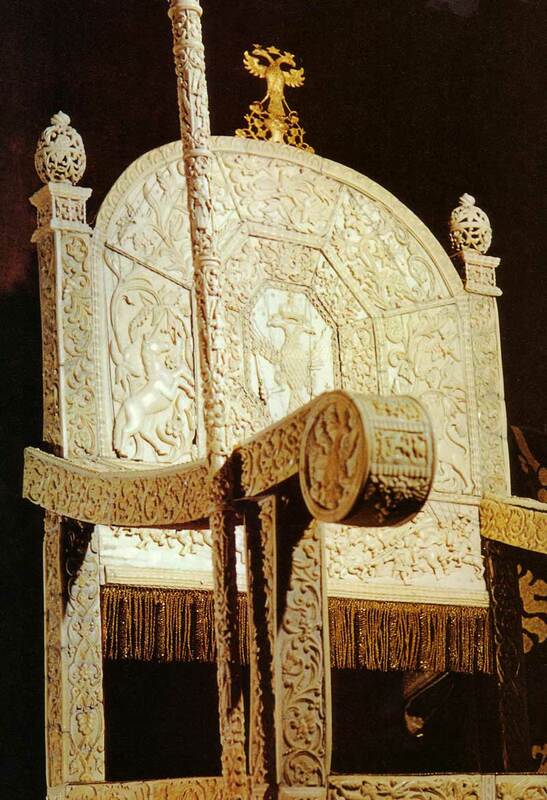 What makes a throne special? A throne is made honourable, by the value of the one who sits on it. And the value of that one, is judged (Divinely), by how much of servanthood to Allah Almighty, he has acquired in his life. A throne, in which sits a wicked and cruel tyrant has no value in Divine eyes, there is no honour to be on it, it is only a responsibility/burden for one who sits on it. But a Throne, in which sits a humble and obedient servant of Allah, becomes a Holy, Honoured, Blessed, Enlightened, Glorified and Majestic Throne! Maulana then spoke of worldly Kings, and followers from the Wahhabi school of thought, who felt jealous when they see people loving and honoring Rasulullah (saw). These are people who have the disease of jealousy in their hearts, and anyone who has such ill-feelings towards Prophet Muhammad (saw), has no Iman (faith). Wahhabi followers frown upon people who stand up to honour Rasulullah (saw), upon those who perform selawat (darood shareef) and upon those who respect him. Why? Maulana said that these people must realise, that if Allah has honoured Rasulullah (saw), then why shouldn’t we also honour him? In reality, only a heavenly-appointed King, may sit on a Throne. Earthly Kings should, out of humility, sit on an ordinary chair placed beside their thrones, and say, “I shall sit in this ordinary chair, for my Throne here is only for the Seal of Prophets (saw) to sit on.” Now that is adab, says Maulana. Solomon’s Holy Throne was built by the Jinns, and it was made of gold (not from earth, but from the heavens), and it was a wonder to behold. Anyone who looked at it, would fall into prostration in astonishment. Allah dressed the Throne and the one sitting on it, with Magnificence, Majesty and Greatness, so that no one could look at Solomon and not be mesmerized by his commanding presence – no one in his Court, could raise his head, to look at Solomon! Allah dressed him with one spot of His Greatness, Might, Majesty and Glory – necessary attributes, as Solomon (as) was to be the Commander of Man, Animals, Jinns and devils. Does Allah have only one Throne for His Prophets? Certainly not. Our beloved Rasulullah (saw) also has one. But why was Rasulullah (saw) not sent with a Throne, for certainly, it would have been a Throne more Glorious and Majestic! Rasulullah (saw) did not want such a Throne, he said, “I sit as a servant sits, and I eat as a servant eats.” Subhanallah! There are so many lessons hidden within this answer. Why did Rasulullah (saw) say that, instead of asking for a breath-taking Throne that would amaze and stupefy the world? If Rasulullah (saw) had indeed showed us his position as an honoured one, by virtue of owning a majestic piece of furniture (a Throne), members of his Nation would have dedicated their lives to attaining the finest of decorations and dressings of dunia. Eventually, Maulana says, we will become a Nation of Fir’auns and Namruds sitting on our thrones – dirty and evil ones. Why? Because, as mentioned in an earlier Suhbah, deep in every Man’s heart, is the desire to be worshipped by the rest of creation. This desire, to be a worshipped leader, to be a self-centred tyrant, is the highest aspiration of our egos! It is a disease that has taken the world by storm today. There are only two categories in life. There is the Creator, and there is the creation (servants). Since you are not the Creator, you must be the creation, the servant! If you are not acting as a servant, that means you are acting as the Master! Allah is displeased with those who do that – Allah has no partners. So there is only servanthood, there is no other category for us except that. Maulana says, live for three days in this dunia, as a servant, then in the eternal life, Allah will grant you majestic Thrones and Palaces, and place you in them. But in dunia, be humble servants to Him. Return to him as servants, and He will grant you never-ending honour and glory! Don’t return to him as a King, but as a servant! Teach your children to recite Bismillahir Rahman-nir Raheem from young and train them (and yourselves) to start every action with Bismillahir Rahman-nir Raheem. Ponder over the Quran, take lessons from it, as each lesson contained within it, is a door to heavenly grants of honour. Kings must be appointed by the Divine, only then can they sit on the throne. The heart of Man is the Throne of Allah. Do not appoint a common thief (shaitan) to sit on the Throne; he will steal its jewels, and raid its coffers. Look at the tyrants who rule – they all plunder their country’s reserves. Don’t put a worldly one there either (ego), it will lead you to become a Pharoah and keep you busy with dunia. In the Ayat above, Bani Israel says, “Appoint for us a king and we will fight in Allâh’s Way,” it means, we must pray to Allah to send us His true ones (Sadiqeen, the Warisatul Anbiya) who will take our hands and help us along the path (Tariqah) to servanthood (ubudiyyah). They will and teach and guide us to fight all the dirtiness and evil brought by shaitan, our egos, our desires and by dunia (the four enemies). This is the Way (Tariqah) of those fighting (jihadun nafs) in Allah’s Way. Maulana mentioned that for ‘three days’, be a servant to Him. Three days is a reflection of our lives in this world – yesterday (which has passed and will never return, it is a land of regrets), today (this moment, which must be passed in absolute servanthood), and tomorrow (the land of uncertainty and death, for death may strike at any time). Return to Him, dressed as His servant, and He will dress you like a king, for eternity! If you would like to listen to the actual Suhbah by Maulana Shaykh Nazim when it was recorded, please click here. Once at the site, please click on the Sohbat 14 Oct 2010. Maulana Shaykh Nazim teaches daily, at 1800 hours GMT, please go to www.Saltanat.org to attend these illuminating lessons. There are no charges to attend these lessons, they are completely free-of-charge. These transcripts and Study materials are found at the Singapore Naqshbandi portal, www.SufiHub.com, these are also completely free-of-charge. This entry was posted in Maulana Shaykh Nazim's Suhbahs and tagged Basmalah, Fir'aun, servanthood, Soloman, Sulaiman. Bookmark the permalink.